This is terrible news and I hope the details that are being reported are not true. Fox News reports two Navy SEALs being investigated in the strangulation death of Army Sgt. Logan Melgar in Mali in June allegedly offered the Green Beret a cut of the military money they pocketed, but he refused, according to a report. 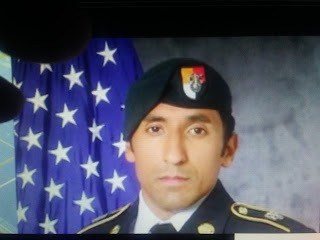 Melgar confronted the two Navy SEALs after discovering their alleged scheme, where they reportedly took money for themselves from a fund used to pay informants, the Daily Beast reported. The two men tried to get Melgar to join the racket, but he declined the offer, the report said. Melgar later ended up dead in what appeared to be a strangulation.